The STAR Program (Strategies for Teaching based on Autism Research, Arick, Loos, Falco, Krug, 2015) teaches children with autism the critical skills identified by the 2001 National Research Council and uses many of the evidence-based practices identified in the 2009 National Standards Report and 2014 National Professional Development Report. 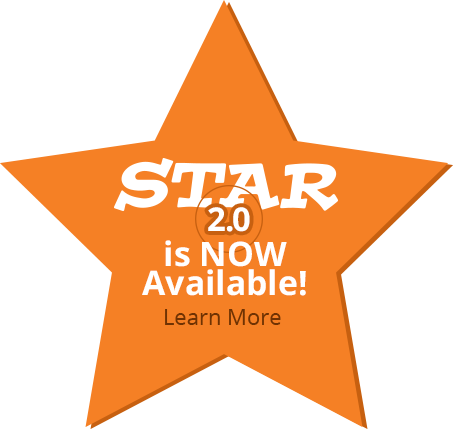 STAR 2.0 is now Available! Click here to learn more. The ABA (Applied Behavior Analysis) instructional methods of discrete trial training, pivotal response training and teaching functional routines form the instructional base of this comprehensive program for children with autism. The STAR Program is the only curriculum that has been validated by multiple independent randomized control trials (including IES and NIH Grants) on the market today. The STAR Program includes detailed lesson plans, teaching materials, data systems and a curriculum-based assessment for teaching in the six curricular areas of receptive language, expressive language, spontaneous language, functional routines, academics, and play & social skills. You should select the Level 1 kit if your student shows some difficulty understanding or following simple commands, has no language or very little language, has moderate behavior issues when asked to follow a simple task, and/or may not interact with other children very well. Understand and follow simple routines such as arrival to an activity area, departure from an activity area, circle time, or snack time. Begin to participate in independent constructive play. Please purchase the Level 2 kit if your student can often follow some simple commands but conversely shows difficulty with 2-step commands or requests that are considered more complex. Additionally, if your student uses only one word (or picture) to request desires, understands only simple nouns, plays only in isolation, and only follows simple routines this level would be considered the most appropriate. Use simple verbs such as "sleeping, eating or crying"